KUWAIT CITY, April 18. /TASS/. A new batch of Russia’s Sukhoi Su-25 strike fighters has been delivered to Iraq, spokesman for the Iraqi Defense Ministry Nasir Nouri Mohammed al-Tamimi said on Monday. According to him, “a batch of Su-25 (three aircraft) has arrived in Iraq in accordance with the contract signed with the Russian side.” The Iraqi defense spokesman also said that the attack aircraft would enter service in the near future. According to him, this will give additional advantage to the Iraqi army in the fight against terrorist groups, including the Islamic State (terrorist group banned in Russia). Since the beginning of the active offensive of the IS group, Russia has delivered to Iraq several Su-25 strike fighters. 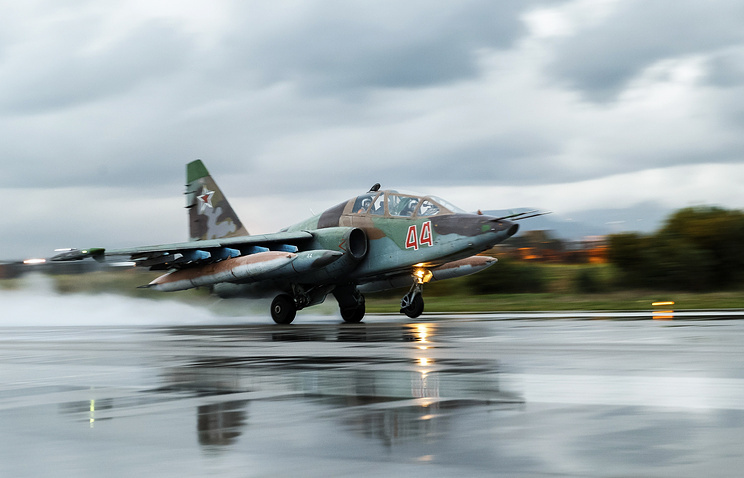 Su-25 is Russia’s strike fighter, designed for providing round the clock support to ground troops hitting objectives within the visibility range, as well as for attacking target-point facilities in any weather conditions. Islamic State is a terrorist organization outlawed in Russia. The IS group currently controls large areas of Iraq and Syria. In 2013-2014, it operated under the name of the Islamic State of Iraq and the Levant (ISIL).